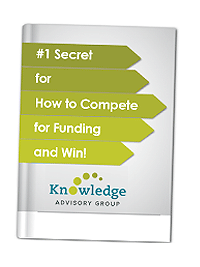 Knowledge Advisory Group has joined the team to provide over $100K of services to a Virginia-based nonprofit organization. The overall effort will provide marketing strategy/implementation, and our contribution will focus on organizational processes and evaluation. Led by creative Richmond-based ad agency Madison + Main, the partners organizations also include is ByteJam, V4 Web, Wythken Printing, and Thinkhaus. Over 50 proposals have been received and are under review.